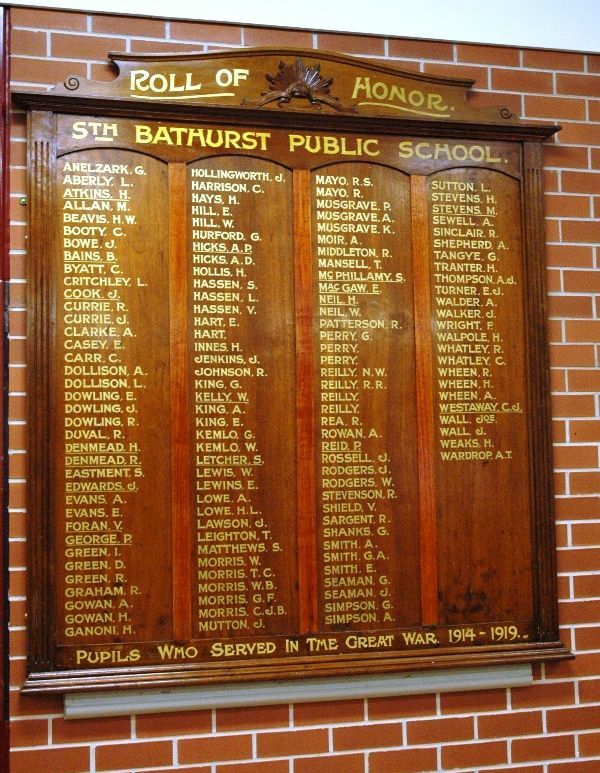 A wooden honour roll commemorates 135 former students of the school who served in World War One. The Roll of Honour was restored and unveiled at 2.00 pm on Friday, July 26th 2013. The honour roll originally came from the 1880 school which was partly destroyed by fire in 1966. Upon being found cut up into sections in a roof cavity in the former school , it was decided to ask the Men’s Shed under Mr David Buckby to restore the honour roll which was in a shocking condition with damage to the bottom gold leaf lettering. Pupils Who Served In The Great War 1914 - 1919.